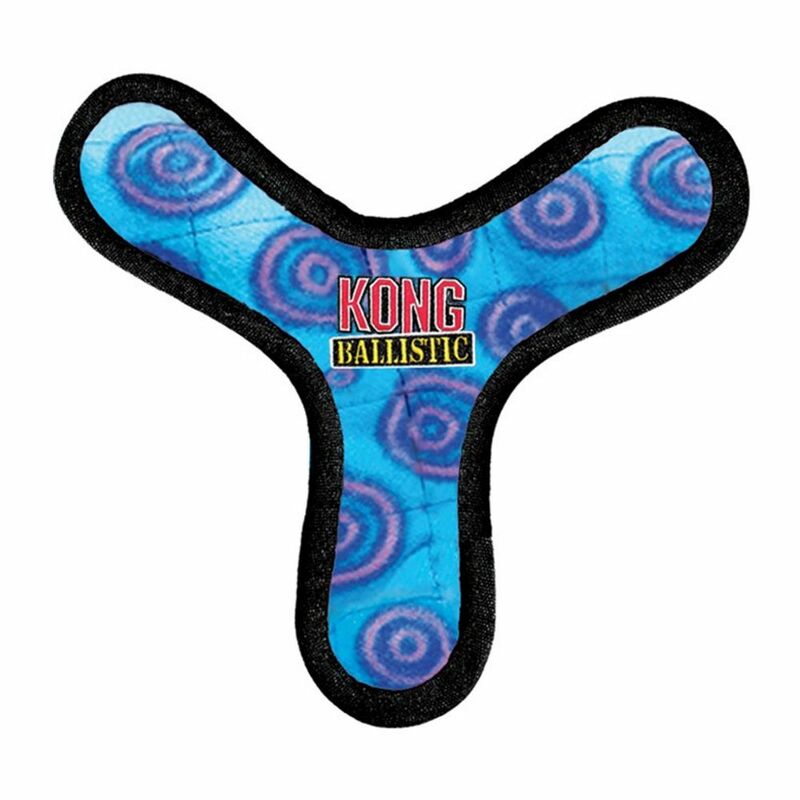 The KONG Ballistic Boomerang is made using a multi-layered design. 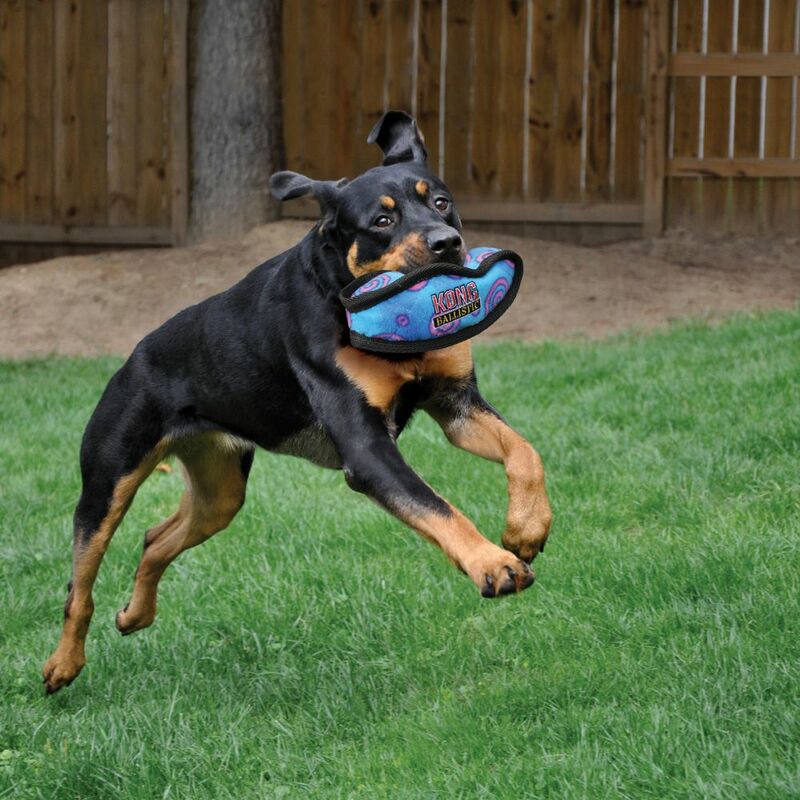 The Ballistic Boomerang has three layers of material with eight rows of stitching to create a tough and durable dog toy. 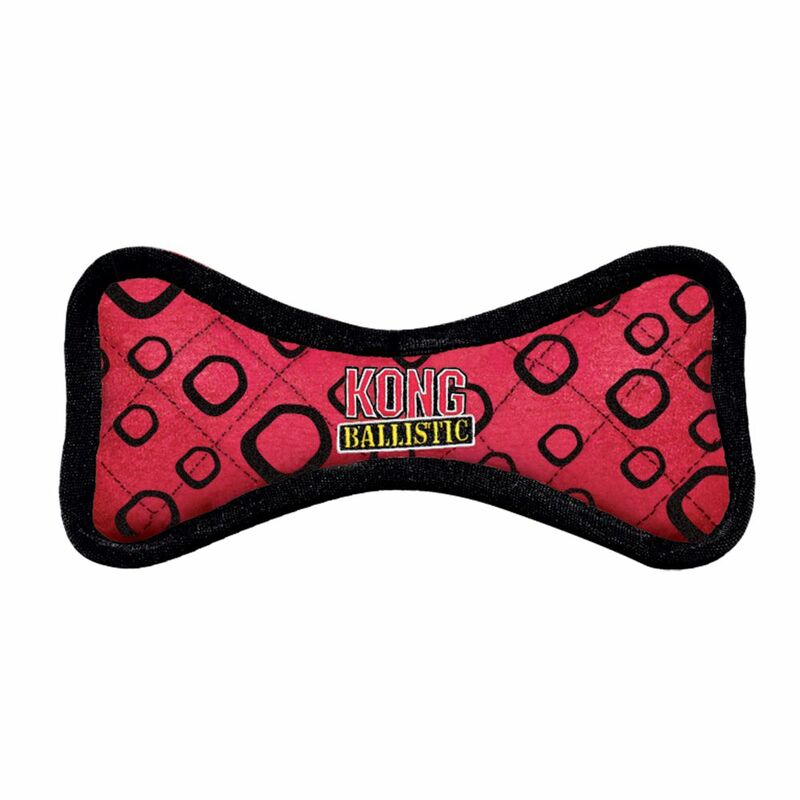 It’s guaranteed to be gentle on your dog’s teeth and gums - plus it squeaks and floats for added fun. 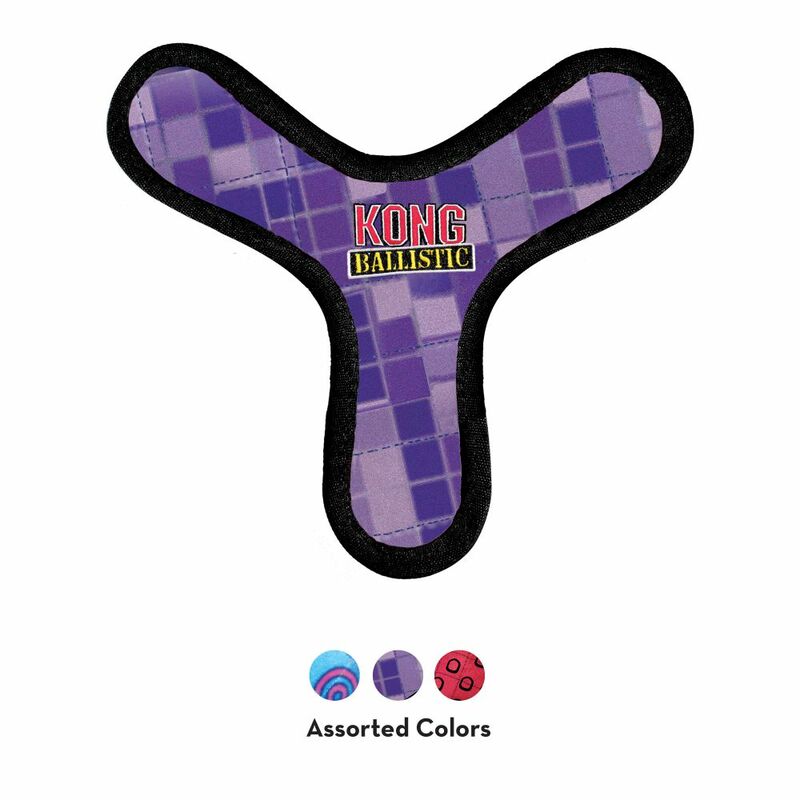 Throw it in the washing machine when it gets dirty, and keep your dog entertained for a long time.